This soaring wonder will bring grace and beauty to any room. 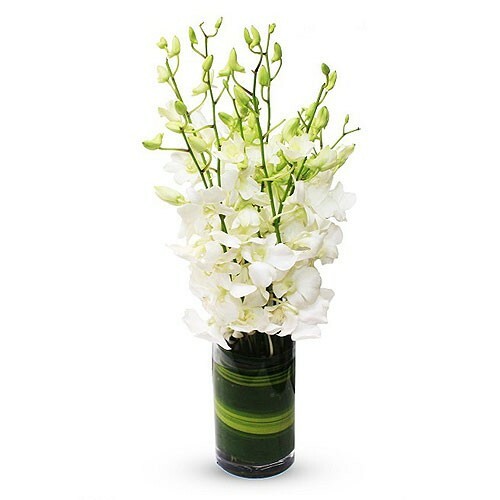 A stunning White orchid plant potted in a clear cube is as beautiful as it is simple. Give them a gift that is sure to impress today, and far into the future.